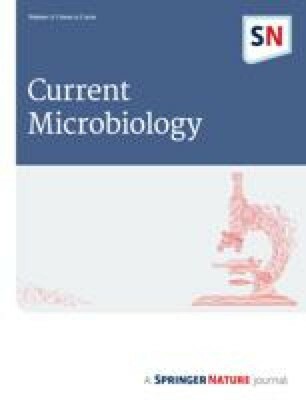 A small cryptic plasmid designated pSSU1 was isolated from Streptococcus suis serotype 2 strain DAT1. The complete sequence of pSSU1 was 4975 bp and contained six major open reading frames (ORFs). ORF1 and ORF2 encode for proteins highly homologous to CopG and RepB of the pMV158 family, respectively. ORF5 encodes for a protein highly homologous to Mob of pMV158. ORF4 encodes for a protein highly homologous to orf3 of pVA380-1 of S. ferus, but its function is unknown. There was no similarity between ORF3 and ORF6 and other protein sequences. In this plasmid, the ORF1 (CopG protein) was preceded by two multiples of direct repeat and the conserved nucleotides that could be the double-strand origin (DSO) of rolling circle replication (RCR) mechanism. The ORF5 (Mob protein) was followed by a potential hairpin loop that could be the single-strand origin (SSO) of RCR mechanism. The sequence, which was complementary to the leader region of Rep mRNA, was homologous to the countertranscribed RNA (ctRNA) of pLS1. Moreover, a 5-amino acid conserved sequence was found in C terminal of Rep and putative Rep proteins of several pMV158 family plasmids. These observations suggest that this plasmid replicates by use of the rolling circle mechanism.